This year, WordCamp Calgary will be held on May 28 and 29, 2016, at Fort Calgary (750 9 Ave. SE). WordCamp Calgary is dedicated to helping WordPress users grow their expertise of the platform and all that can be accomplished using it. With mayor Naheed Nenshi declaring 2016 the year of music, it’s not surprising that this year’s theme at WordCamp Calgary will also be music. The information presented at the event, however, will be relevant and valuable to all WordPress users, despite the music focus. This year’s confirmed lineup already includes our very own David Andrew Wiebe, who will be sharing about his new book, The New Music Industry: Adapting, Growing, and Thriving in The Information Age. Those who have read it already know – the book isn’t just an examination of the current music industry, what it means to be a musician in the information age, or a marketing strategy – it is also a dissection of what went well and what went wrong in Wiebe’s own career. Refreshingly honest and transparent, Wiebe’s book has been connecting with a variety of audiences – not just those in the music industry. Wiebe wanted to pass on everything he learned from being in the music industry for over a decade, and the book certainly reflects this fact. This, in turn, should help readers bypass many of the mistakes Wiebe made to achieve greater success on their own terms. 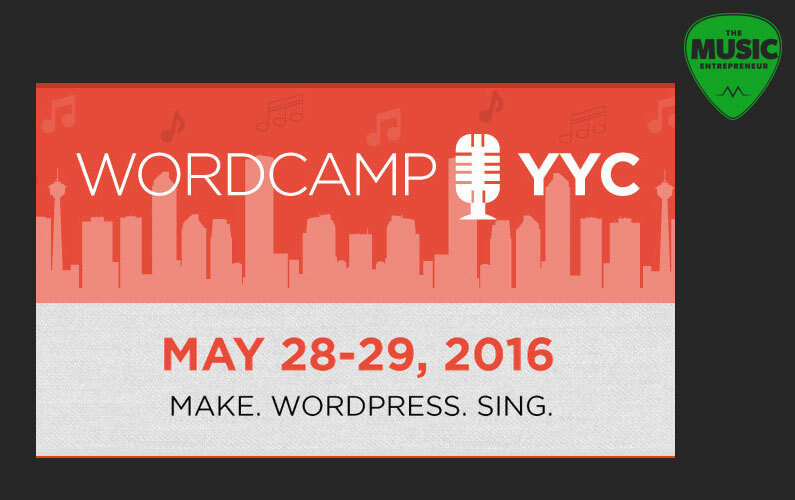 Tickets for WordCamp Calgary are already on sale, and are available for $50. If you are interested in attending, it would be wise to register early.